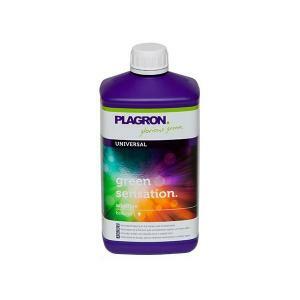 Plagron Green Sensation is a powerful flowering booster that eliminates the need for any other additives to be used, like PK 13/14, enzymes or any other accelerator. It is designed to be used during the last 4-6 weeks of the flowering stage along with your regular base nutrients. It will increase the yield from your crop and it will also dramatically increase the flavors from edible crops, due to much greater sugar formation within the plant. Suitable for use with soil, coco or hydro and can be used in conjunction with any base nutrient program.